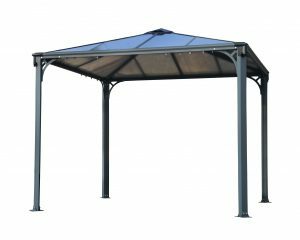 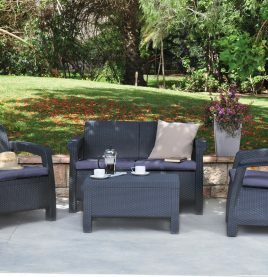 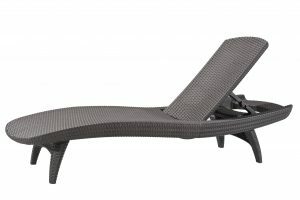 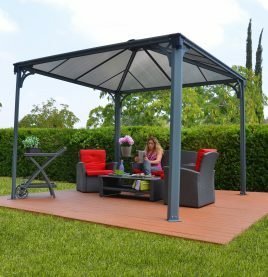 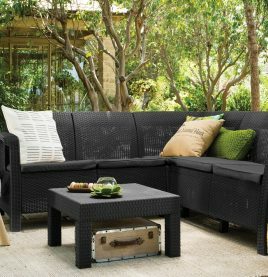 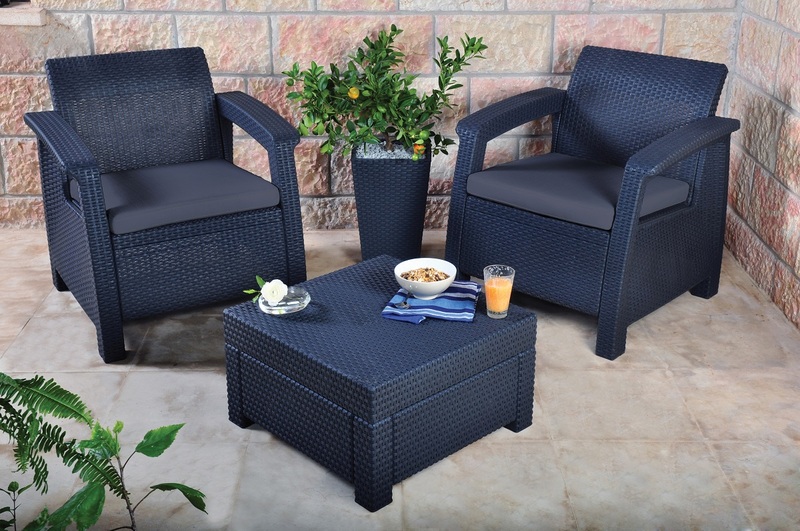 Designed and manufactured in Israel, the resin constructed Corfu set boasts a chic rattan finish that has?been UV treated to protect against any damage from the Australian sun. 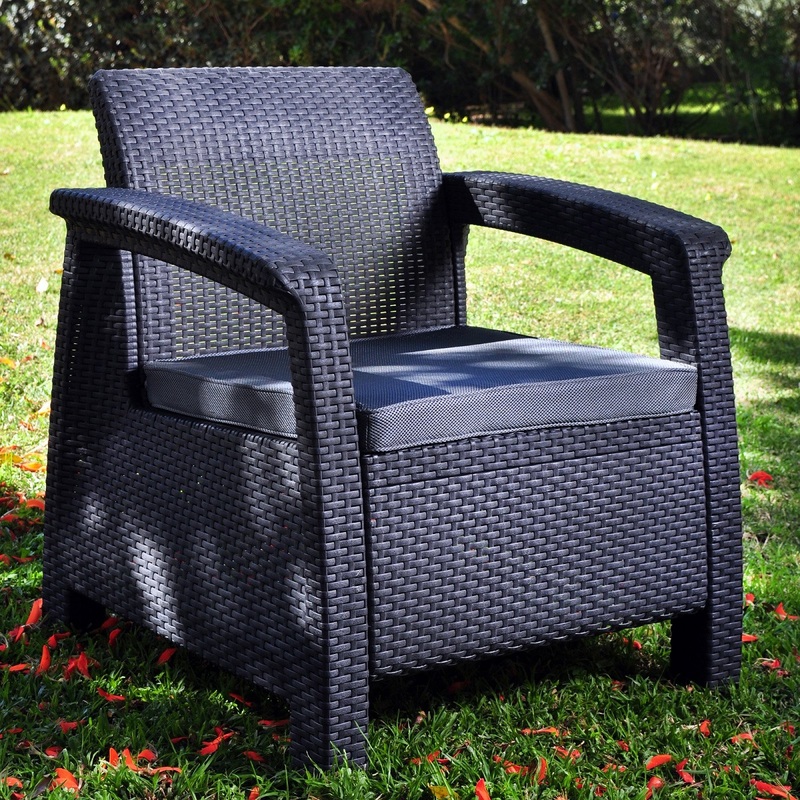 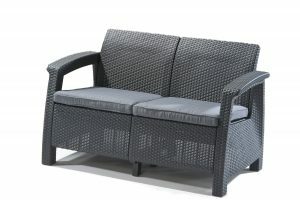 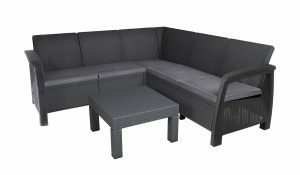 Included in the set are a pair of ergonomically designed chairs with bonus cushions for extra support and comfort. 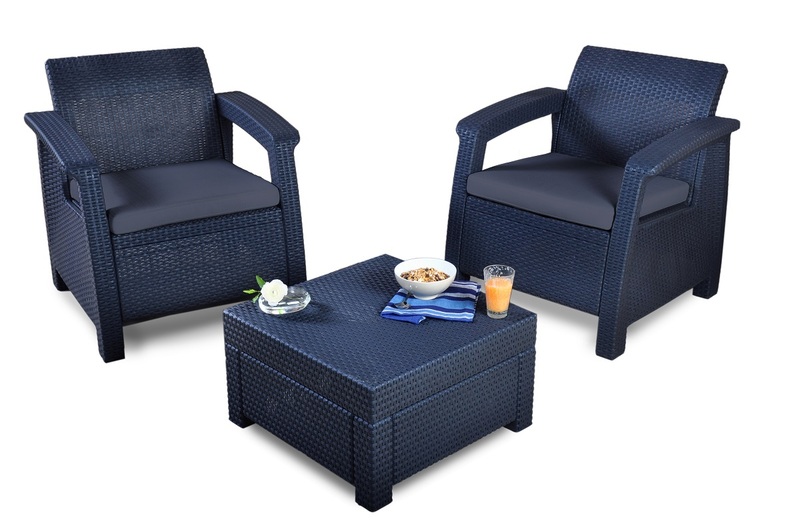 Also included is a sturdy but stylish accent table.